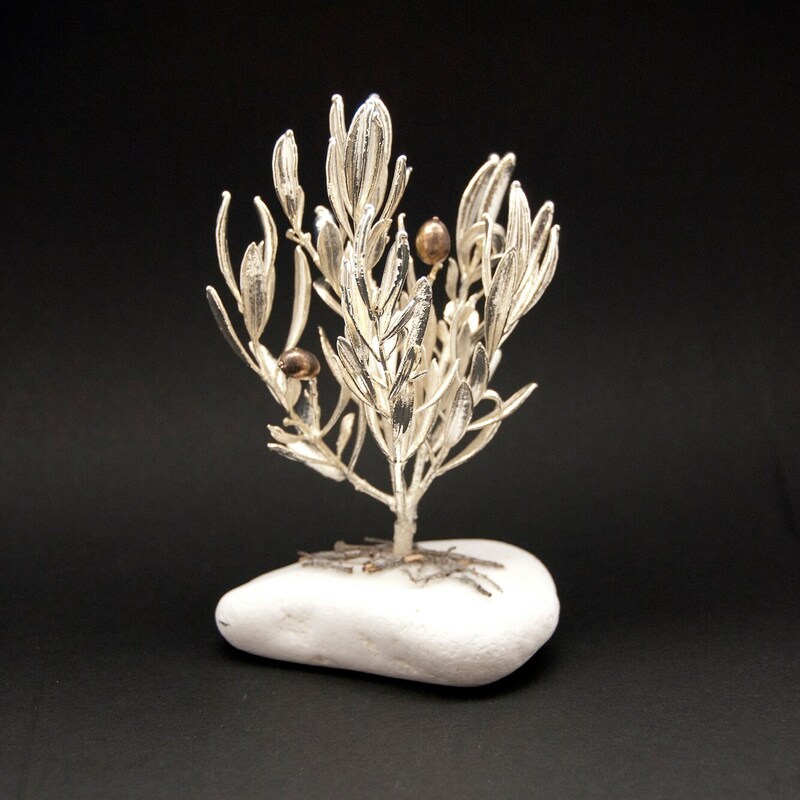 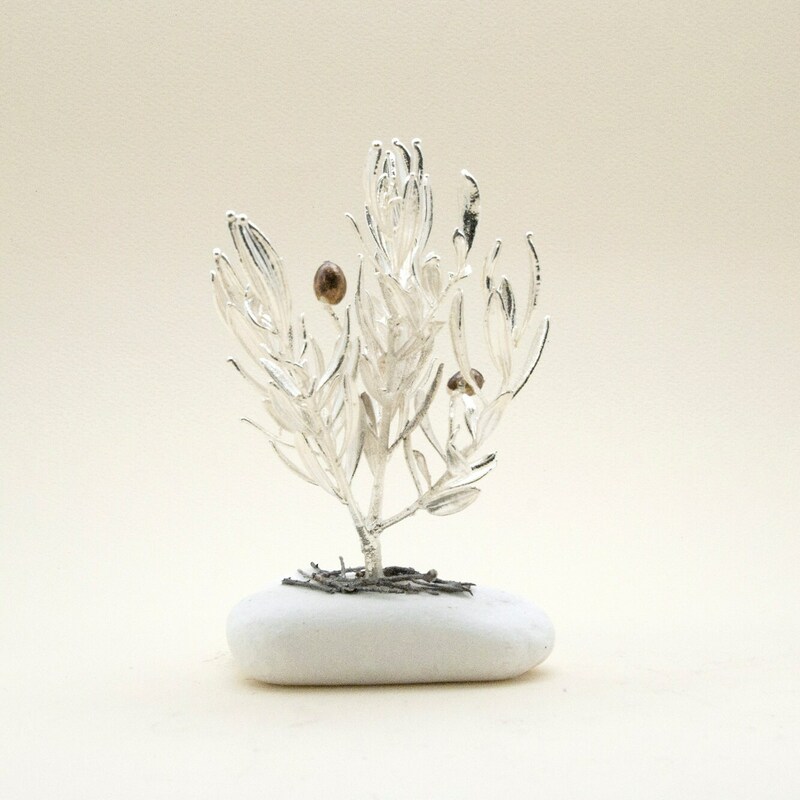 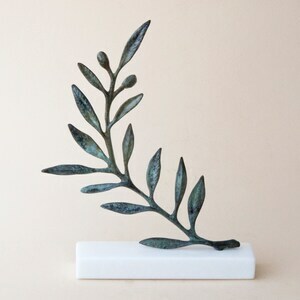 Greek Olive Tree Real Natural Branch, Silver Olive Twigs, Silver Electroplated Real Olive Organic Eco-Sculpture, Greek Nature, Home Decor. 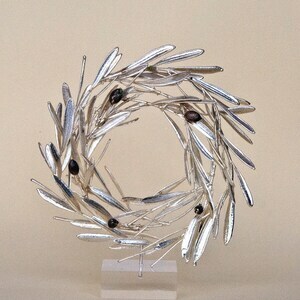 Electroplated with 999 fine silver and mounted on white Greek marble. 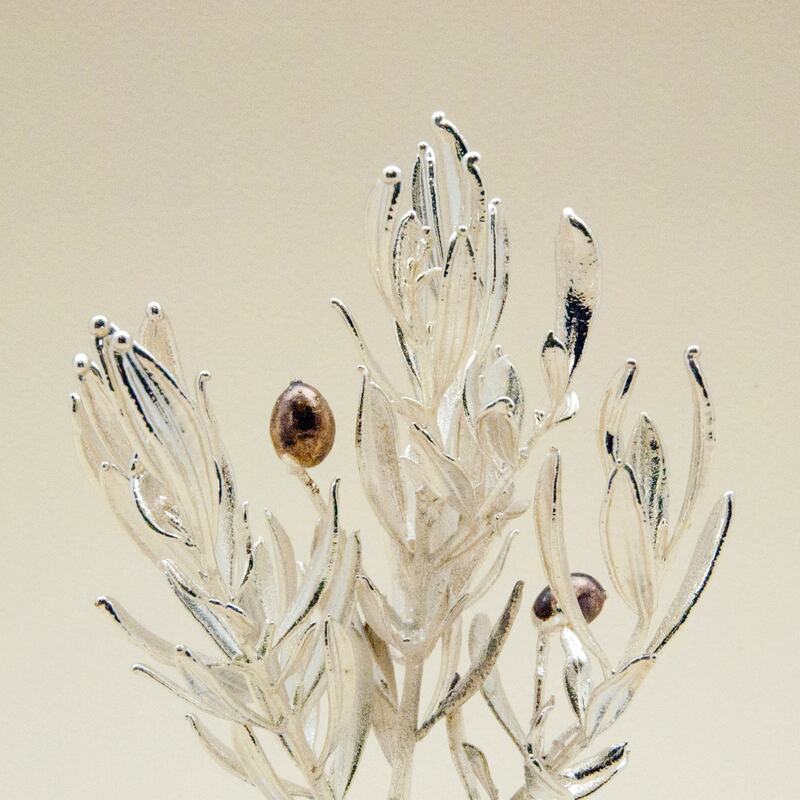 since it is totally covered in metal. 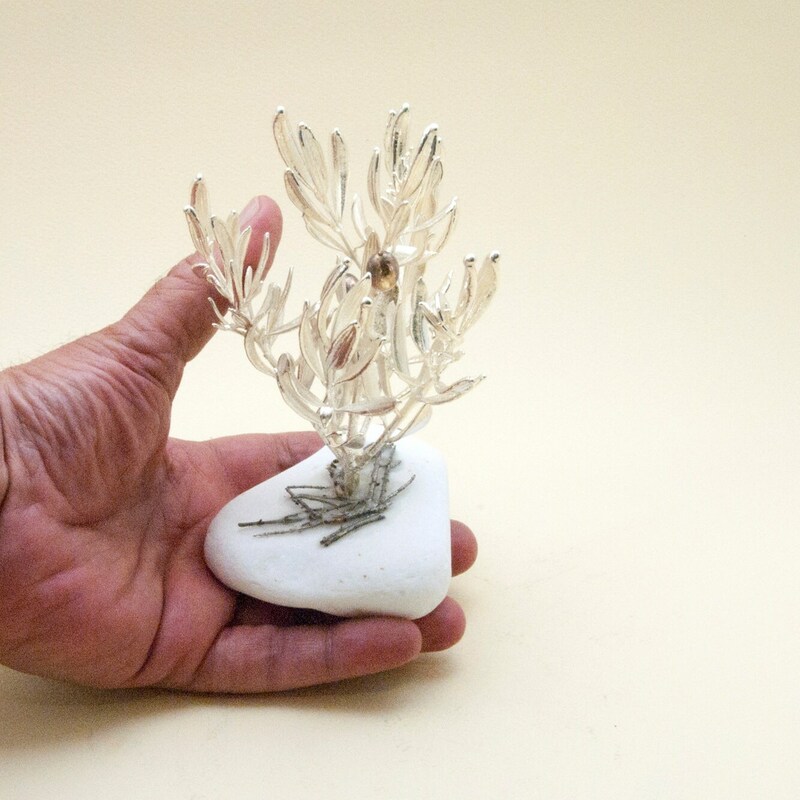 Width: 3.9 inches / 10 cm approx. 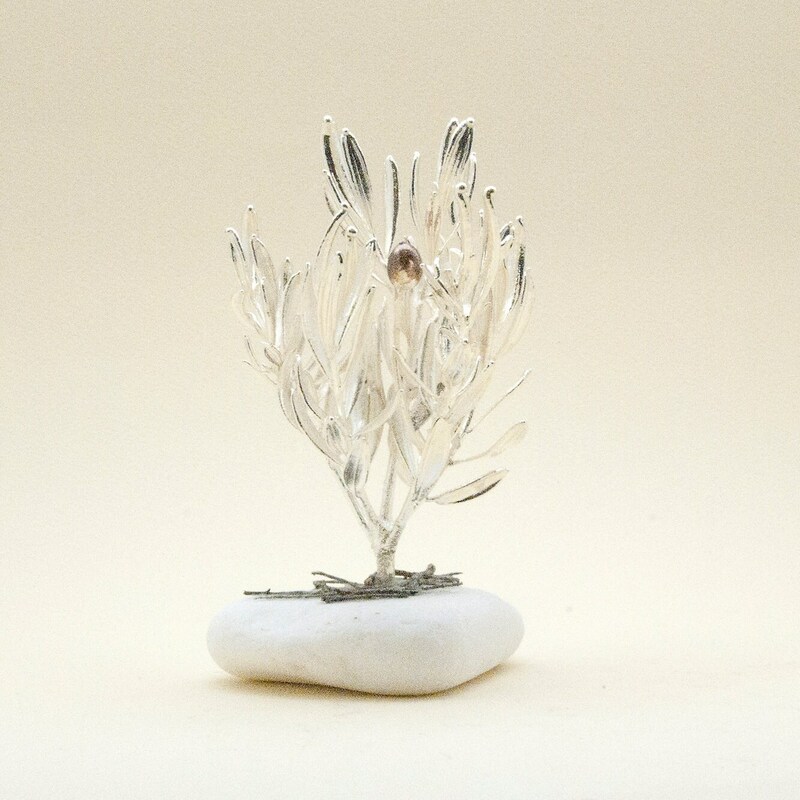 tree shape and marble color/shape may vary. 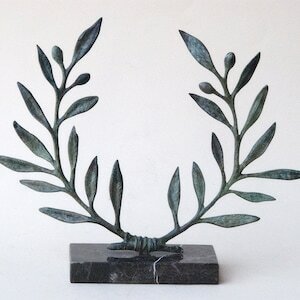 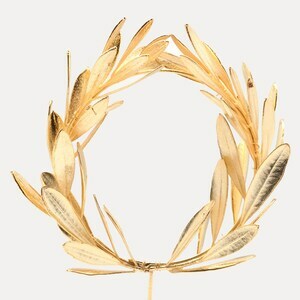 Olive was the symbol of Athena, goddess of wisdom and intelligence and the patron goddess of Athens, to whom she gave the olive as a gift.